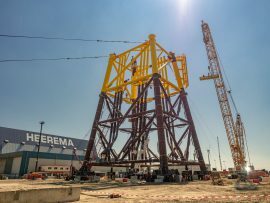 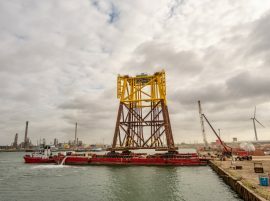 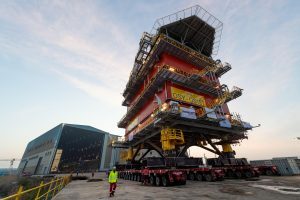 Heerema Fabrication Group (HFG) has loaded the jacket foundation for Elia’s Offshore SwitchYard (OSY) platform onto a barge at the Vlissingen yard. 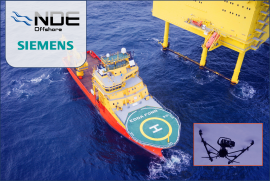 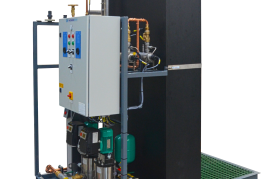 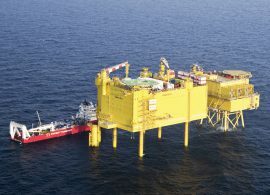 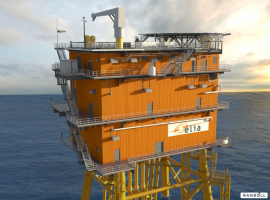 Bremerhaven-based engineering specialist b.offshore has carried out Door Fan Tests on TenneT’s HelWin beta offshore converter platform in the German North Sea. 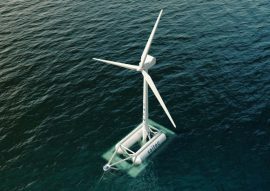 Texas-based Quest Offshore Resources today announced the launch of Quest Floating Wind Energy (Q FWE). 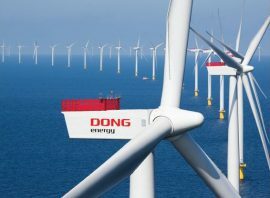 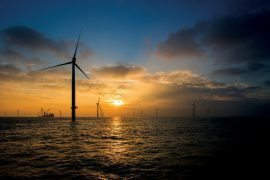 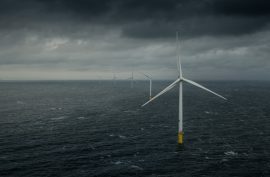 Q FWE is a data and analytical practice focused on the resources driving the economics, technology and supply chain encompassing floating wind energy, according to the company. 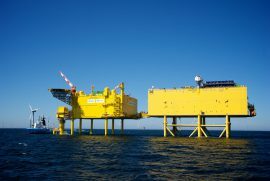 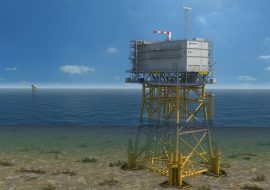 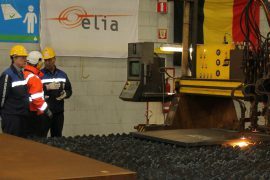 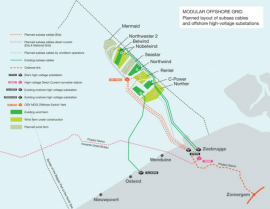 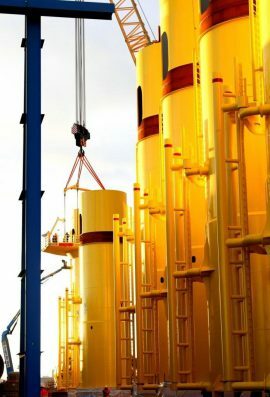 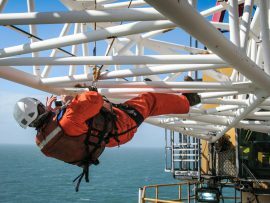 Belgian transmission system operator Elia has appointed London Offshore Consultants (France) SARL as the marine warranty surveyor for submarine cables and the Offshore SwitchYard (OSY) platform for the Modular Offshore Grid (MOG) project in the Belgian North Sea. 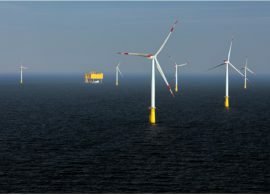 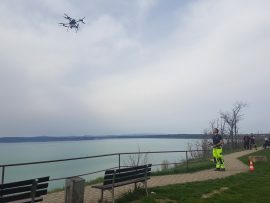 Open Ocean and VORTEX have teamed up to create what will be, according to the two companies, the most complete online solution for site analysis during offshore wind project development, based on the Metocean Analytics platform. 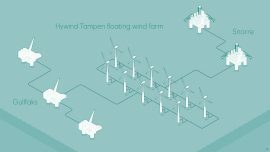 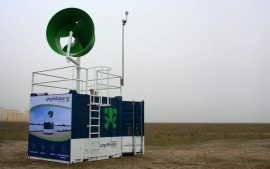 Researchers at the Brunel University London’s Innovation Center are developing WindTwin, a digital platform that enables live condition checks on each wind turbine’s working parts, for which the Brunel team says it would significantly contribute to cutting offshore O&M costs.